Here's the layout I started a couple of weeks ago at crop. Noemi had to almost slap my hands to keep me from adding anything else- She was right. It's gorgeous, I love the yellow accents! 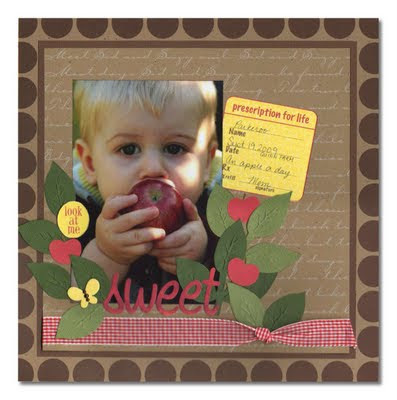 Use office supplies on your scrapbook page! This is why I scrapbook.